I arrived at Colloquy a bit later than usual this morning, but thankfully just in time for the keynote presentation ‘Sustainable Art with the Arctic’ with the University of Lapland’s Timo Jokela. Professor Jokela explained the power of visual art in participatory action research, or as he terms it, Art-Based Action Research (ABAR). His slides of previous art-based community projects illustrated his points beautifully. More information on his work can be found at http://asadnetwork.org and http://nacerteam.weebly.com. For those members attending Colloquy, Professor Jokela’s book, Relate North, is also available at the registration table. For those who are particularly interested in the arctic as a laboratory for sustainable art and cultural policy, there will also be a summit in Rovaniemi, June 4-5, 2019. The second keynote of the morning was given by Leena Heinämäki, University of Lapland and Associate professor Thora Herrmann, University of Montreal, Canada. Entitled, ‘The Sacred Arctic: Safeguarding the Sacred Natural Sites of Indigenous Peoples’ as their Cultural Heritage,’ Professor Heinämäki gave a great overview explaining both the importance and challenges of protecting Indigenous sacred sites. The development of protocols for protection of these sites began at an international conference in Rovaniemi in 2013 (www.arcticcentre.org/sacredsites2013). At present, these sites have begun receiving protection through the 2003 UNESCO convention for the safeguarding of intangible cultural heritage. Following this overview, Professor Herrmann discussed specific examples of biocultural community protocols (identifying, protecting, recognizing, and transmitting sacred sites) from Canada. Heinämäki And Herrmann have a book coming out shortly from Springer not his topic: Experiencing and Protecting Sacred Natural Sites of Sami and other Indigenous Peoples. Following the keynotes, we moved into literary talks. Sandy Campbell, University of Alberta, presented on ‘Canadian Indigenous Children’s Books through the Lens of Truth and Reconciliation.’ Canada has been going through the process of truth and reconciliation with its Indigenous peoples, following the revelation of the atrocities that many Indigenous communities suffered through the enforced attendance of their children in residential schools, a process that has resulted in years of intergenerational trauma for the survivors. It can be quite difficult for non-survivors to understand truth and reconciliation, so the University of Alberta has put together a reading list of children’s books that help to explain various aspects of this process. The reading list is available here: https://era.library.ualberta.ca/items/33f1d0de-8f61-4a66-a684-ad4665f7b045/view/e2d813b1-f3c8-4cd1-bab0-049743901c09/Residential%20Schools%20Books%20Alphabetical.pdf. For those members attending Colloquy, one of the books from the list, Mamaqtuq, is available for bidding in the auction. As a side note, I am a huge fan of the Jerry Cans, who wrote the song that the book is based on – you can hear more of their excellent music here: https://m.youtube.com/channel/UCchGda0RiqbCeNWIVkja2QA. ‘Multilingualism and Diversity as a resource in the cultural field – Library work in the Sámi (language) literature field,’ presented by Irene Piippola from the Sámi special Library in Finland, Rovaniemi City Library, was the final talk of the morning. Ms. Piippola gave an overview of the Sámi language, the availability of literature in the various Sámi dialects, and the ways in which Finland, Sweden, Norway, and Russia are providing library services (with varying degrees of accommodation) to this population. More information on this topic can be found in Ms. Piippola’s forthcoming book A Writing Hand Reaches Further: Recommendations for the improvement of the Sámi literary field. A searchable Sámi bibliography is also available online: https://bibsys-almaprimo.hosted.exlibrisgroup.com/primo_library/libweb/action/search.do?vid=SAMISK&dscnt=0&dstmp=1528872597663&vid=SAMISK&backFromPreferences=true. You can learn more about the bibliography here: http://library.ifla.org/1616/1/098-mathisen-en.pdf. Overall, a great morning with lots of useful information. 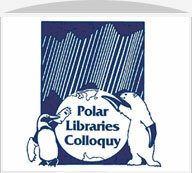 I am looking forward to more fantastic sessions as Colloquy progresses – and possibly winning the auction for Mamaqtuq!